This is an interesting gloss. I heard from a bunch of people on YouTube about what Gloss d’Enfer means (something like gloss from hell translated) and I had a good laugh over that. 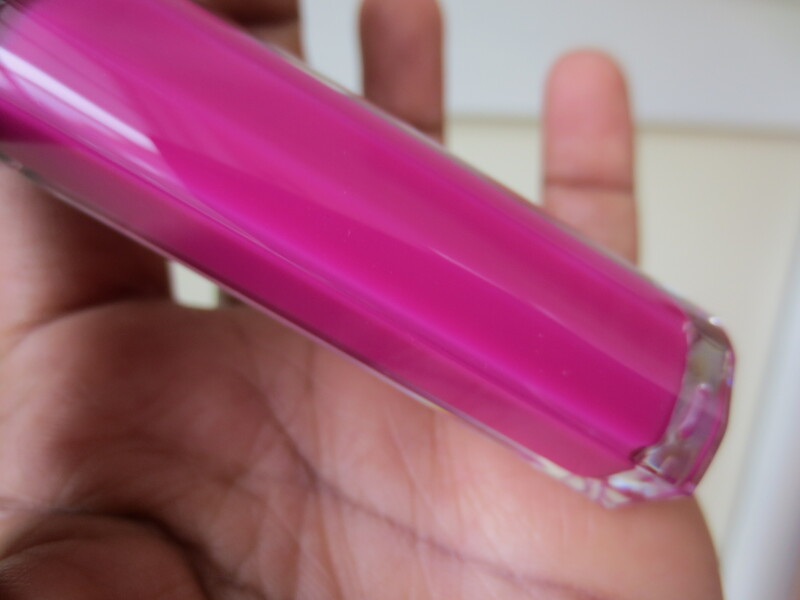 I saw this new line of Maxi Shine glosses and it made my greedy little heart pitter patter. 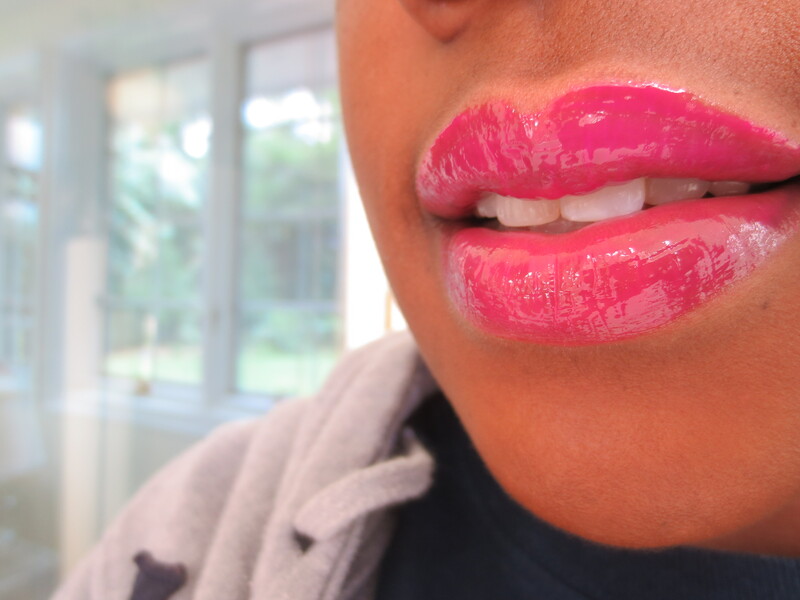 I love super shiny gloss! This has that mirror effect that I love. It’s blinding and I really like that. I wish the color was a tad more pigmented and opaque. 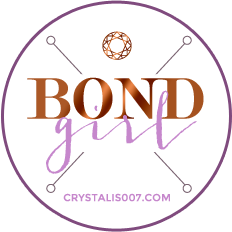 If you have very pigmented lips like mine you are going to notice that to get a true to color look you are going to most likely prefer using a lip liner under this gloss for depth. 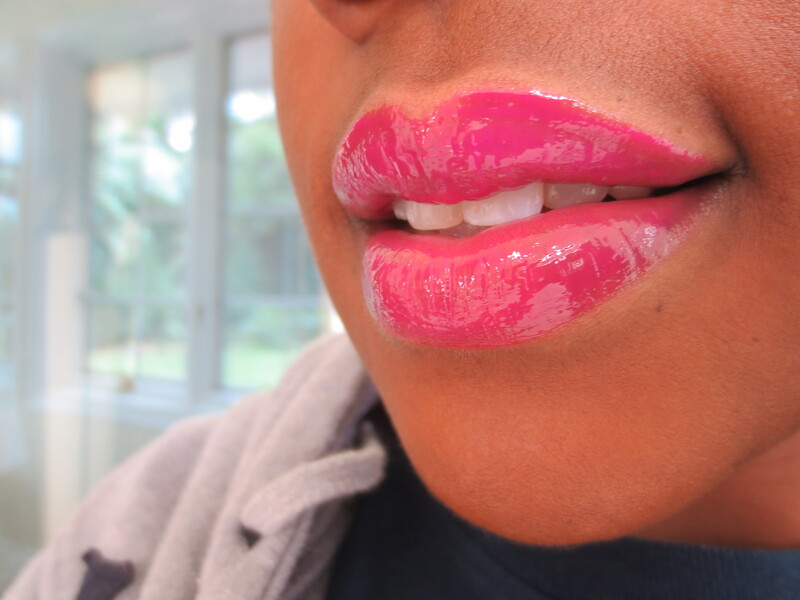 I didn’t do that for the pictures in this post but in using this gloss over the last few weeks I prefer using a liner under it. 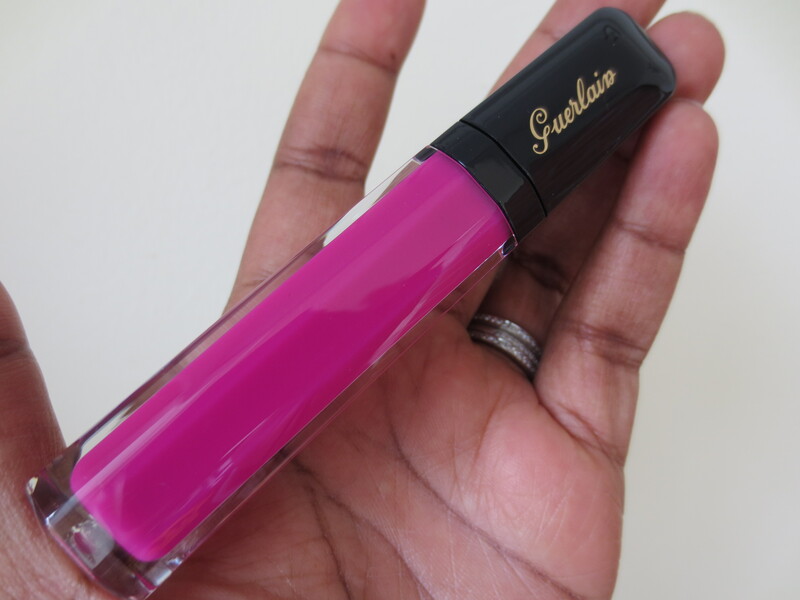 If you don’t have pigmented lips this gloss is gonna be perfect for you shade wise. These glosses have a doe foot applicator and my only other issue is that it takes a lot of gloss to cover my lips. Not a whole lot of product comes out with each dip of the doe foot.I usually dip 3-4 times to cover my lips and then smooth the product out. Sometimes I think I’d be better off with a spatula! I find Magenta Waouh to be comfortable to wear and touch ups after meals are very necessary. The shine will go bye bye on you. I think this is a tad on the sticky side. All that shine comes at a price. At $30 I enjoy using this gloss and I’m glad I got it. There are a ton of other shades available at Saks and Nordstrom but I think that this is it for me. I really might want Tangerine Vlam #441 in the future though. I’m gonna swatch it first at the counter and make sure it’s the most amazing thing since sliced bread before I take the plunge though. That color looks gorgeous on you! 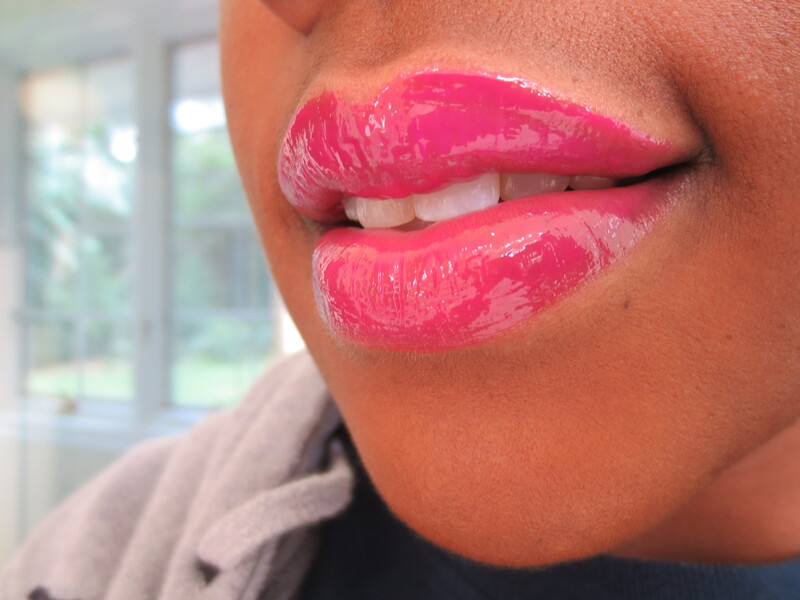 I have this in 467 Cherry Swing and while I do love it, I have to admit that I’m just a tad bit more in love with my Lancome gloss in Glitterstick. Its just like the 467 but more opaque. And it looks gorgeous in the sun!! Cherry Swing looks really pretty. More opaque sounds good!